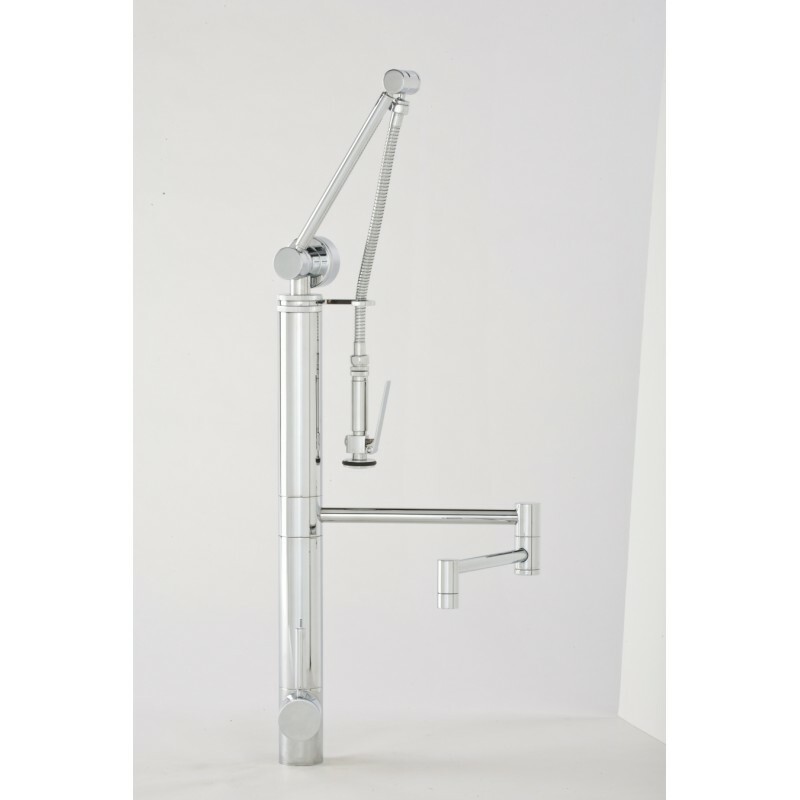 Contemporary Gantry Single Handle Contemporary Pulldown Kitchen Faucet with 12" reach articulated spout. Select lever spray or aerated stream. Spray arm pivots to reach all areas of sink. 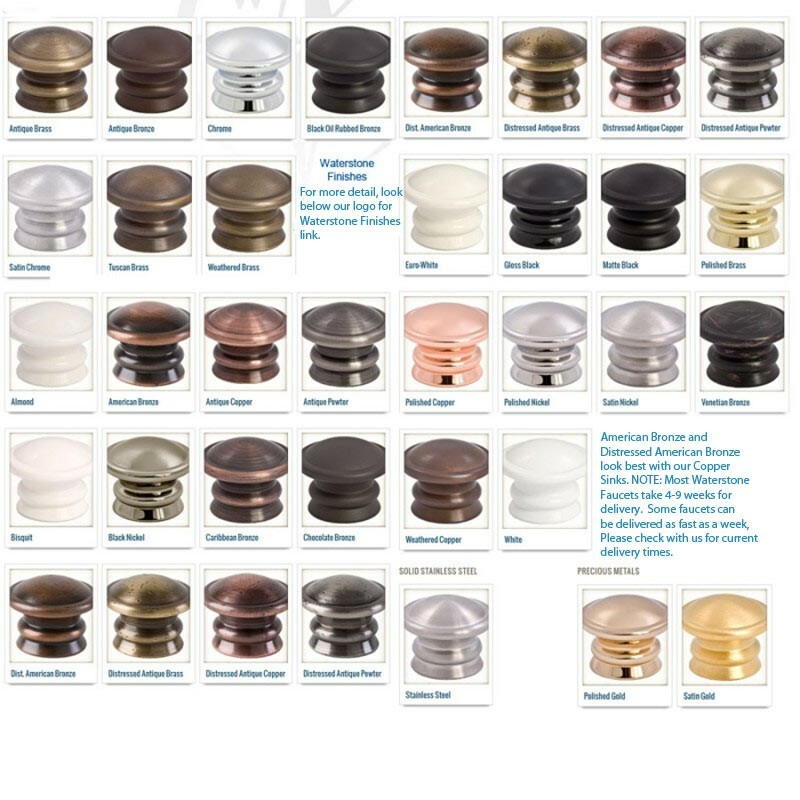 Solid brass or stainless steel construction. Single lever control with Hot/Cold ceramic disk valve cartridge.Reversible or removable Hot/Cold indicator ring. Reinforced braided connection hoses. If you are looking for the ultimate in food prep and clean up, this is your faucet!